Nice logo and a few interesting effects (although somehow ruined by the ugly colors in some scenes). I really enjoyed it. Pity it's so short. Nice comeback. I hope for more. Short, but cool. Good job! Nice to see floppy again :) Thumbs up for music, barcodes and the logo at the end. The effects are ok too, but I know you can do better stuff! What Loaderror said minus the thumb. Great to see Floppy (my old group) doing Amiga stuff again! I enjoyed the rays and thought the cube could benefit from a better color choices. Like the music and its nice late 90s' feel! The sync is kinda strange to me - the music doesn't quite match the action somehow. There is no way i am not liking this, especially the music, which is ace stuff. Interesting to watch. I like it. nice comeback. gimme more ! Crash the latest WinUAE 33 beta 15 at the very end! I love emulator destroyer! Short and not bad. Weak thumb up. Too short, but otherwise I love it. rulez added on the 2016-06-02 21:53:31 by ɧ4ɾɗվ. 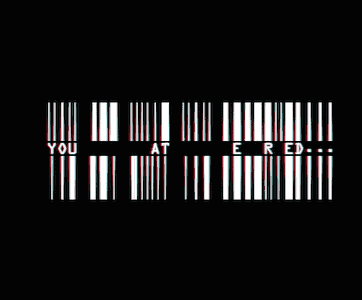 I read this as "You Ate Red MY Floppy." So so demo. Blueberry: nice catch, this is very possible although it should not happen in this demo system that I use (it should initialize copperlist only once). Will definitely check glitches twice next time. All thanks for the feedback and hopes that you give us to come back for real. It was really a pleasure to work on amiga again (even though I used UAE for that). Thanks X-Ceed, Def and Slizgi for making really oldskull atmosphere in that little project. This runs like a slideshow on my 1260. Awaiting response why the Youtube differs. We want more floppy prods! A bit glitchy. I remember first thinking maybe it wasn't running correctly. The light / radial blur effect is indeed a bit of a slideshow. Hoping to see a proper comeback from Floppy one day. page created in 0.019165 seconds with 15 queries.